Paradoxology: The Sin of Home Improvement? Jack and Katy have been absent from our worship gatherings for the past four months. They aren't mad, they aren't bored, and they haven't given up their faith. They're simply preoccupied with the fixing up of their home. They readily admit missing their church family, but it seems that home improvement is just more important right now. This is a scenario that's becoming more and more commonplace: worship within one's faith-community is taking a backseat to remodeled kitchens, replaced flooring, and reorganized garages. In the past five years, I've been amazed at the numbers of people who have chosen to miss our worship gatherings because of home improvement projects, including those considered leaders! It just might be that home improvement is becoming a sin for some people. Should our homes be more important than our active participation in the body of Christ? The question seems ludicrous. But the "actions" of more and more people betray the fact that they must believe this is so. Our actions do speak louder than our words, and a person's (real) priorities are evidenced by what they do. 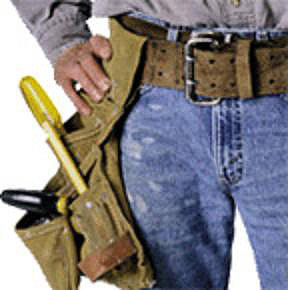 If the basic concept behind the New Testament's understanding of sin is "missing the mark", then it seems to me that home improvement is causing many people to sin. Maybe it's not the remodeling and such that is itself the sin, but rather that such things contribute/lead to a sin of omission: choosing not to gather with fellow believers for worship. Either way, I see a problem here. But what is it exactly that compels people to spend so much time, money and energy on their homes? Do you see a problem here as well? Or is something else going on that I'm missing? "But what is it exactly that compels people to spend so much time, money and energy on their homes?" One reason is that our individualistic faith and mode of living combines with a lack of ritual, art, and sacred space in our churches ... this subtly makes us think that our private homes are more important and worthy of beauty and our time. Question 1: What time do you hold your worship services? Question 3: What would change if you changed the time? For roughly the past 15 years I have served as a pulpit supply in one capacity or another, and as a result, it has played havoc on my family's worship life in a community, at least one that would include me on a regular basis. We have been rather surprised at how few congregations consider the option of Saturday or Sunday evening fellowship, for whatever reason. I read a lot of bloggers bad mouthing such considerations as thinking "attractionally" rather than "missionally." I don't see it that way. Where would you see yourself? Very interesting that this came up considering what happened to us recently. We missed church two Sundays ago because of a home improvement project that we underestimated time-wise. But let me say this: it was the first project we ever attempted in the 3+ years we've been in the home. 2. The DIY phenomenon is partly to blame. I don't remember growing up that anyone did major home remodeling projects themselves. People hired professionals. Today, professionals charge upwards of $75 an hour--that ain't cheap. Our project was painting our kitchen and laundry room. It took two of us working almost non-stop between coats close to four complete days to finish. And those were fifteen hour days! Conservatively, two painters could have charged us $2000 dollars just in labor alone. If I am the steward of the money God has given me, I can think of a lot of things better to do with $2000+. Even buying all the equipment from scratch and having to repaint the laundry room (after the initial color was overpowering), the cost to us for everything was under $250. The fact that most DIY projects are cheaper and the projects themselves easier for the common man to pull off means that more people attempt the work. 3. Christianity has been replaced by "spirituality," even among Christians. Our materialism now extends to calling the items we buy "spiritual" because they are well-designed, nice to look at, and marketed as balms for the soul. 4. Postmodernism, Emergent, the rise of house churches, and even the creaky old small group movement have demystified church buildings as some place set apart. We've even taken the uniqueness of meeting in that building away. And if I pray, worship, take communion, dine, study, and fellowship in my small group of four couples, then what is the more impersonal large group meeting for (especially if we have stripped the transcendence and the power of the Spirit operating in large groups from our assemblies?) Talk about shooting oneself in the foot! If there is a villain here, just look in the mirror! 5. You get enough people in a church and sooner or later everything is going to look like a trend just because of sheer numbers. You have a hundred families in a church and you can bet at any time fifteen are not in the seats on Sunday for some reason or other. If three of those are doing home remodeling projects (which almost have to be done on weekends because of the nature of our stressful work situations--see below), it seems like everyone is doing it. 6. Because we are working more hours than ever in our jobs, the only time for DIY is on the weekends. Something has to give and it winds up being church. Christians have got to start speaking into the workplace and start coming up with ways to help people cope with the ever-increasing work burdens we have or else it's only going to get worse. This is a pet issue for me and I see no one in the church acknowledging it. It's like our work lives do not exist, even though they consume more of our day than anything else. When do I have the time to be an "overcomer" if I spend ten hours at work a day and have a two hour commute? 7. Bragging rights come with DIY. With more and more people feeling like they have lost control of even the menial aspects of their lives, this means something. I may feel powerless to stop our cultural decline, but by golly I painted my kitchen and laundry room myself! See how that intoxicates? This is getting long, and I could go on for about ten more, but I'll stop here. Hope this spurs on the conversation. Oh, and DP, glad Paradoxology is out of its coma! Great thoughts from all of you. Karl, I've never considered before how we consider our homes as more worthy of beauty than places of worship. We (protestants) are notorious for filling our homes with "art", but not our churches. Mike -- I seriously considered Saturday or Sunday night as an option. None of our leadership team was interested in making the commitment to serve at those times in order to make it happen (e.g. musicians, nursery workers, etc.). In some ways, I've noticed a real "gimme" spirit at work in our community (although I'm sure it's not just our community). However, we did start a new faith-community on Saturday nights that's still in place: Paradox. Denominationally, my Superintendent is encouraging us to consider the birthing of "house churches." Attractional and missional need not be mutually exclusive -- at least I don't think so. That said, I've also noticed many people following the principle of only doing one "outing" per weekend. If we have a church event on a Friday or Saturday, they won't show up on Sunday. If their kid plays in the marching band and they have a parade on Saturday, they stay home on Sunday. My hunch, from this angle, is that a Saturday night or Sunday night "option" wouldn't make any difference at all in their attendance practices. Dan -- Wow, what a list! Lot's of truth there about the DIY phenomenon. Everyone -- Is the home improvement craze simply the most recent expression of the "keeping up with the Jones' " mentality that surfaced in the 50's? Have people always stayed home from the churches they say they're committed to, or are the absences of today somehow unique? 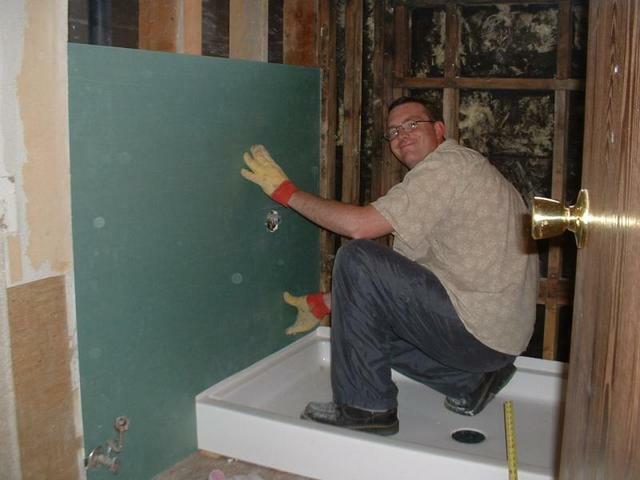 Chris, you wrote: "Is the home improvement craze simply the most recent expression of the "keeping up with the Jones' " mentality that surfaced in the 50's?" I'm not sure. The greatest asset--far and away--that most people own is their home, and it is taking on greater importance for that reason. My parents' second home cost $32,000 in 1972 at a time when my father made probably 50% more than that in income a year. It was a two-story, three bedroom house with a full finished basement. We sold that house for $180,000 in a down market. Today, few people make a yearly salary 50% higher than the initial cost of their home. Housing prices have far outstripped income, making a home the strongest asset in most people's portfolios. As such, a house must keep up with styles if it is to remain sellable. And with the average family moving every seven years, it MUST be kept up. Renovations not only keep a house sellable, but provide a better living environment for the family should they not move. Some modifications, like a deck, actually add more than 100% of their cost to the price of a home. In light of this, it would be poor stewardship NOT to make those kinds of modifications. You can call that keeping up with the Joneses if you wish, but if you purposefully let your greatest financial asset fall behind the times, you only have yourself to blame if it does not sell when you want it to OR does so at below what the market rate should be for something comparable. You also have to factor in that interest rates are very low and a home equity line of credit is almost free compared to what it was when my parents bought their house. People are leveraging their assets (in this case the house) to further that same asset. It definitely makes sense to use loan money to improve the house. Most people understand this and make the necessary renovations with equity loans. It seems to me that people are being smart with their homes rather than making those changes just to keep up with what their neighbors are doing. Good questions, DP. Not easy, but good. Brings up an uncomfortable memory for me. When we bought our house about 13 years ago, our pastor at the time (not our current pastor or church) preached about this very phenomena - that too many young couples poured their money and time into buying a house, and then often neglected the church and the ministries that they had been involved in. I seem to remember that he encouraged considering not buying, but renting, so that we could stay more focused on the important things. Then a year or so later I heard some of the details of how he acquired his house - and it sure seemed like he had taken advantage of some friendships and an elderly couple to be able to buy the house. Not sure of the details - but it definitely seemed pretty important to him to own this house, not just rent it. Not relating that to say anything to you personally - just that it's sure a complex issue. The "keeping up with the Jones'" remodeling phenomena is going gang-busters around here - houses are being torn down all around us, and homes that cost 3 and 4 times what we paid for ours are going up, constantly. It's scary. And confusing, sometimes, about what our priorities should be. Chris(tine), maybe God has truly called some people to be salt and light in a specific neighborhood like your own, where not being consistent with everyone else could actually become a hindrance to the gospel. The rent vs. own thing is also multifaceted. Owning might well be more consistent with good "stewardship" of the resources God has given, whereas renting might be poor stewardship. Renting is also commonly associated with the disenfranchised in our culture -- and it's great to see organizations (and even cable TV companies) give people homes and/or radical remodeling. Here in our town, a real estate broker gave a new home being built to a needy family -- it was very cool. What do you think? Is it a "kingdom" thing to lift people out of poverty and disenfranchisement by giving them a home, so that their limited income would go WAY farther, and their reality thus transformed? I know I've wandered a bit there, but I'm honestly interested in this. Remodel is no sin. It's a part of life. Sometimes pastors get worried when numbers are low and they (we) get a bit paranoid. davidt -- I avoided any sort of "blanket statement", suggesting that all remodeling was sin. I only suggested that for "some" people, home remodeling projects may in fact be sin. Are you suggesting that this cannot be a possibility? maybe it has nothing to do with their SINFULNESS (this all sounds pretty judgemental-some people are not ready for the intimacy that comes in a small group setting) but trying to see the good in them perhaps these great folks simply wanted to do these repairs so they can host a small gathering at their home? David, should "shepherds" in the body of Christ ever be concerned about people's spiritual growth and what "might" be hindering or hurting them? I often worry that popular notions of radical egalitarianism distort our faith-beliefs, insisting that Christianity must be an individualistic faith: self-validating, self-contained, and without the moral or practical implications of "community." I may have "read" your comments incorrectly, but your response concerns me a little -- especially by playing the "judgmental" card. Of course, it's possible that Jack and his wife (their names are pseudonymns, of course) are remodeling because it is God's perfect will for them. But knowing them quite well, my heart (and what I sense may be God's Spirit) tells me otherwise. Is it wrong for me to even suggest the topic I have for this post? Are all such pastoral concerns to be discredited as judgmental? If so -- and I kinda doubt you actually believe it so -- then what do we do with the Pastoral Epistles? They seem to model something far bolder than what I have here. I'm with ya man. It's a bummer when you value a weekly gathering and find that others just don't. I think it is the curse of a pastor/leader/shepherd to want people to want to be at the things/places that you are at. I think the reason most of us are in 'ministry' is to help people to 'give up' things. But you cannot bring change unless change is requested, you know? Sorry, I am probably just reading my own stuff into this. But if I am or not, be encouraged that I have been discouraged by the same thing.